PA: Pioneer Pr, 1980. Bound in tan cloth with brown lettering to spine, has author's signature to title page. Has a small linear area of rubbing to front lower panel. 448 pgs.. Signed by Author. Reprint. Hard Cover. Near Fine/No Jacket. Norristown, PA: Tourist Bureau Scarce Map in very good condition. No date, but I assume it is from the 1950's. Shows Washington's travels in Montgomery County Pennsylvania with keys along the right edge and on the bottom as to what you are viewing. Handsome copy. Scarce. . Reprint. No Binding. Very Good +/No Jacket. 21" X 13 1/2". Garden City, N.Y.: Anchor Press/Doubleday, 1982. Illustrated in black & white; previous owners initials on top & bottom edges; 274pp.. Early Reprint. Hard Cover. Near Fine/Near Fine. New York: Harper & Brothers Reprint circa 1950's; nicks and small creases to edges of DW; 259pp.. Reprint. Hard Cover. VG+/VG. New Jersey: Morrestown National Historical Park, 1959. Scarce 40 page pamphlet that includes a report by the board of trustees of the Washington Association of New Jersey; some pencil marginalia.. First Edition. Soft Cover. VG/No Jacket. Pamphlet. New Jersey: Morrestown National Historical Park, 1961. 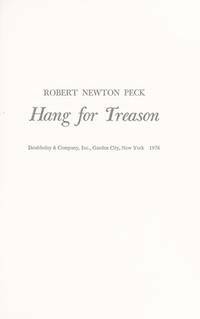 Scarce 28 page pamphlet that includes a report by the board of trustees of the Washington Association of New Jersey.. First Edition. Soft Cover. VG+/No Jacket. Pamphlet. Allentown, PA: The Lehigh County Historical Society, 1956. Bound in dark blue buckram, sans DW; previous owners book plate affixed to ffep. anf note sheet taped to front paste down; marginalia; 162pp.. First Edition. Hard Cover. VG+/No Jacket. Springfield, MA: The Walden Press, 1957. White ink writing on spine. Bound in black buckram, sans DW, as published; previous owners book plate on ffep. ; pencil marginalia; 114pp.. First Edition. Hard Cover. VG+/No Jacket (as published). New Haven: Yale University Press, 1920. The Chronicles of America Series, Volume 11; black & white tissue protected plates; t.e.g. ; a tight, clean copy in the original (scarce) dust jacket; 267pp.. Early Reprint. Hard Cover. Near Fine/VG+. Carrollton, Ga.: West Georgia College, 1976. "Studies in the Social Sciences", Volume 15 June, 1976; quite scarce; owners initials on front edge; 106pp.. First Edition. Soft Cover. Near Fine/No Jacket. Periodical. York, Pa.: The Pennsylvania State University, 1976. Bound in decorated cream wraps; some marginalia; initials on front page edges; 54pp.. First Edition. Soft Cover. VG+/No Jacket. Garden City, N.Y.: Doubleday, 1976. By the author of "A Day No Pigs Would Die"; signed & inscribed by the author on ffep. ; 232pp.. Inscribed and Signed By Author. First Edition. Hard Cover. Near Fine/VG++. Philadelphia: Lippincott, 1896. Bound in decorated yellow buckram, sans DW; black & white plates; t.e.g. ; 319pp.. Second Edition. Hard Cover. VG+/No Jacket. New York: Seven Woods Press, 1976. Epic poem of the life & adventures of Israel Potter, soldier in the American Revolution; bound in brown cloth, sans DW; black & white illustrations; 67pp.. First Edition. Hard Cover. VG++/No Jacket. Philadelphia: Chelsea House, 1997. Stiff glossy boards. "Illustrated Living History Series"; sourcebook of authentic details about everyday life for Revolutionary War soldiers; black & white illustrations; previous owners name printed on front and bottom edges, and penned on ffep. ; 96pp.. Second Printing. Hard Cover. Near Fine/No Jacket (as published). 4to - over 9¾" - 12" tall. New York: Macmillan, 1952. Two volume set bound in dark blue buckram, in VG paper slipcase, sans DW; both first editions; edited and w/introduction by John Richard Alden; maps; 989pp.. First Edition. Hard Cover. VG+/No Jacket. Philadelphia: James W. Nagle, 1905. Bound in faded yellow, decorated buckram, sans DW; issued under the direction of The Valley Forge Park Commission; black & white photos and illustrations; previous owners short inscription penned at top of title page; fold-out map in rear of book; 120pp.. First Edition. Hard Cover. VG++/No Jacket. Philadelphia: Goodman's Sons & Co., 1906. Bound in dark blue buckram, sans DW; number 370 of 985 signed copies; previous owners book plate on front paste down, and name & date penciled on first page of novel; publisher's ad laid-in; 193pp.. Signed, Limited. Limited/Numbered. Hard Cover. VG+/No Jacket. Philadelphia: Lippincott, 1955. Bound in light blue buckram, sans DW; long inscription by the author on ffep. ; 378pp.. Inscribed and Signed By the Author. First Edition. Hard Cover. VG+/No Jacket. Portrait of Patriotism "Washington Crossing the Delaware"
Philadelphia: Chilton Company, 1959. Price-clipped DW; signed & inscribed by the author on ffep. ; black & white illustrations; 190pp.. Inscribed and Signed By the Author. First Edition. Hard Cover. VG++/VG++ Price-Clipped.